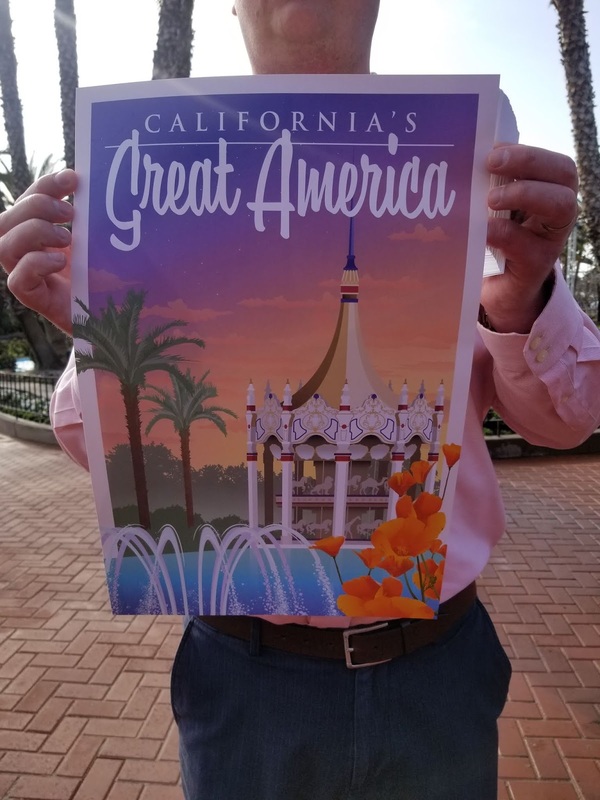 Theme park season is back and we've been itching to visit California's Great America after a really brief off-season (seemed like we just got through WinterFest). After several rather wet weeks leading up to today, it was a refresher to step out of the house or office and enjoy some sunshine while breaking our bodies out of our "winter hibernation mode" and getting reacquainted with lots of walking and partaking outdoor activities. With this said, it wasn't exactly what we'd call a smooth opening day as just after opening ceremony and hitting that 10:00AM mark, it still appeared like there was a cluster of people waiting for rope drop for several minutes. From what we could see, nothing was running. Our plan was to kick off with Gold Striker to no avail - had done Patriot to start the day off. 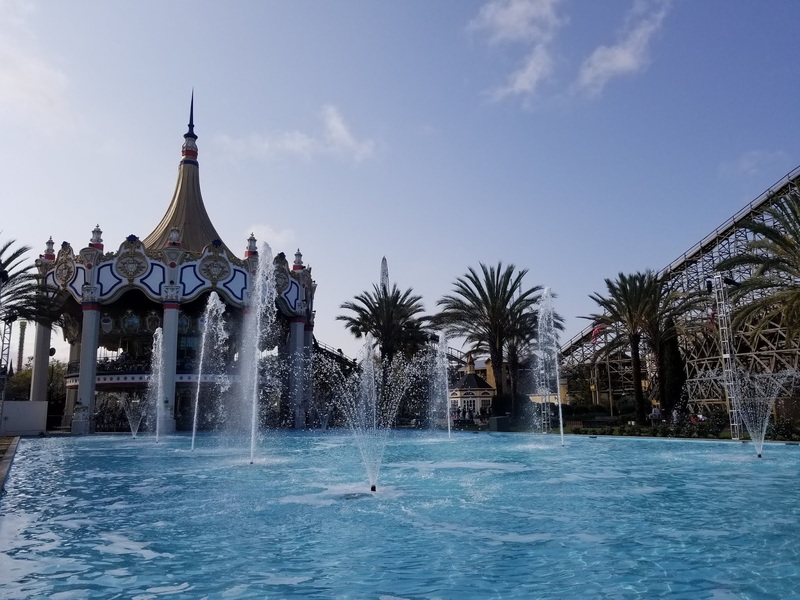 Given the circumstances of many rides being down throughout the day, we had another diversion that kept us busy, making for a unique and fun visit. The park was doing button giveaways throughout the day at various locations with 6 different designs. 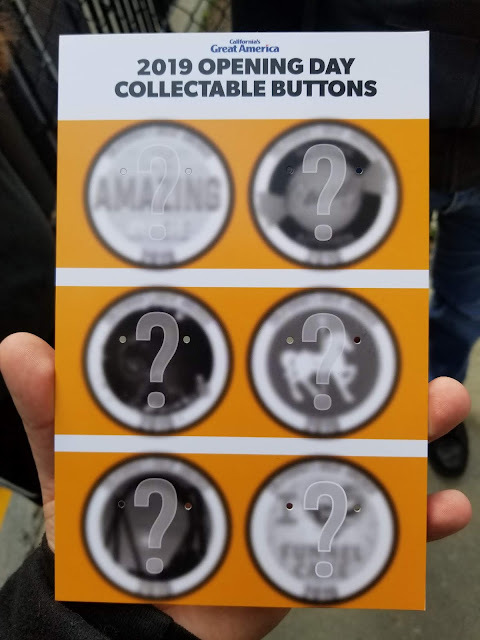 We were given a card at the front gate that showed the locations and slots to put the buttons onto. Between button collecting, we still managed to squeeze in some rides and even checked out the new Space Beagle show. Demon - 3 train wait, also running really smooth for its age. Whatever CGA's maintenance team is doing with the ride, keep at it! Flight Deck - Walk-on. We had expected by this time that it would have had a wait with many other rides in the area being closed. Was a nice surprise after a rough start. Celebration Swings - Well, I don't think I would really count it as a ride but we did have the weirdest experience on it. As soon as we got the all clear for dispatch, the swings lifted about 5 feet, and lowered back to its rest position. Swings had gone down. Also noticing that the swings are rotating at a much lower RPM, appearing to be a much tamer experience from what it was. Over the off-season, the ride had received a new control system. We did not get a chance to retry the swings afterwards. Star Tower - We took a spin on Star Tower to get views of the new midways and the park is looking great from above! French Quarter Funnel Cakes opened with the park for the 2019 season after a long construction period and it looks nice both inside and out. We really liked the patio just outside of it too. 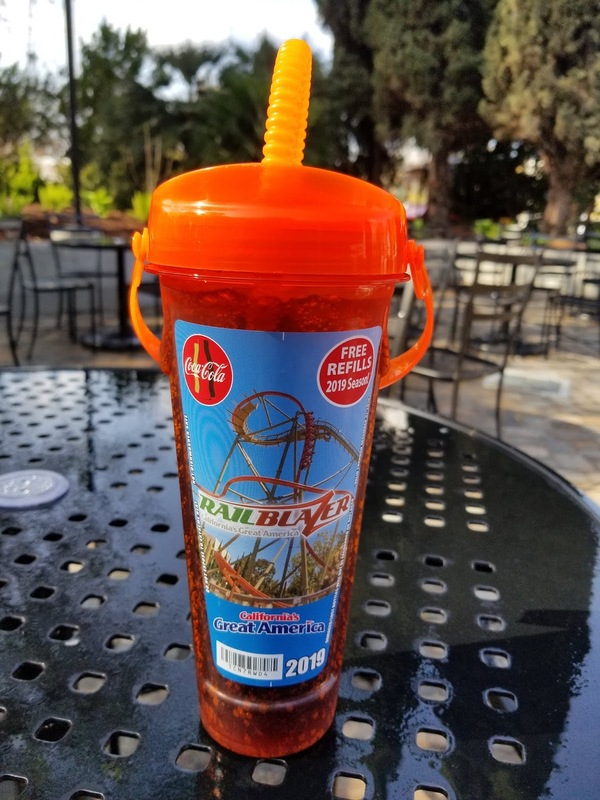 We didn't get any funnel cakes but we did swing by to check it out and to get our souvenir cups. 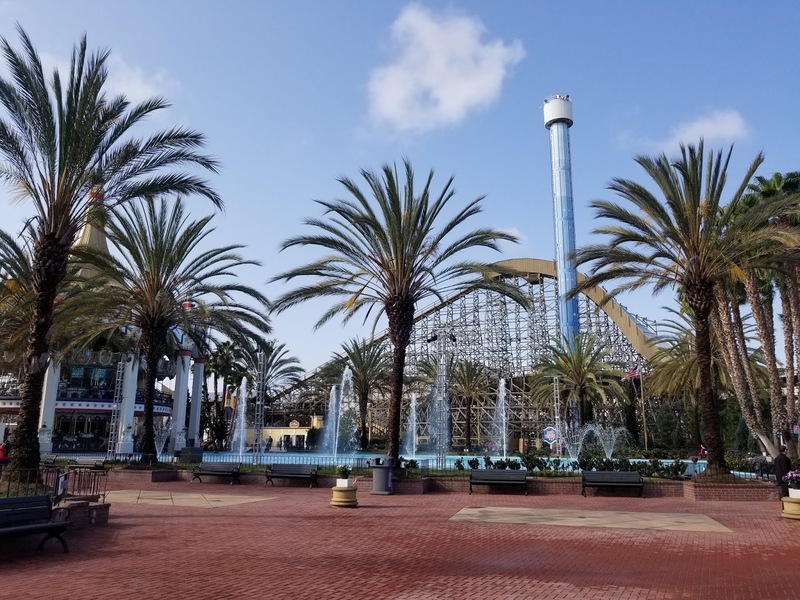 The front of the park (Carousel Plaza) was repaved and is looking nice. In addition, the restrooms next to the Inside CGA shop are getting renovated. We are a fan of the renovated restrooms as last year they were heated on a cold WinterFest night and were kept rather clean. New red brick pavers at the main entrance looks nice and makes a good first impression entering the park. 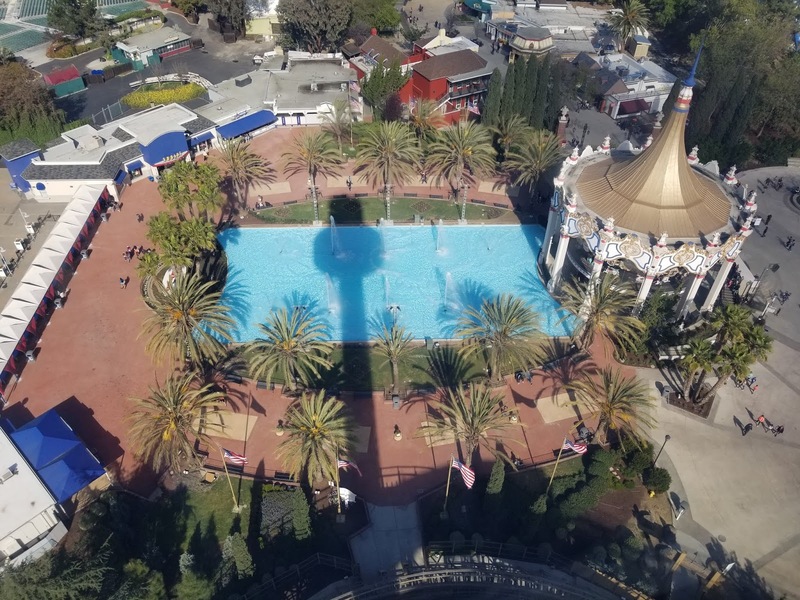 The view from 200 feet up - as shown in background, the front gate restrooms are boarded up. 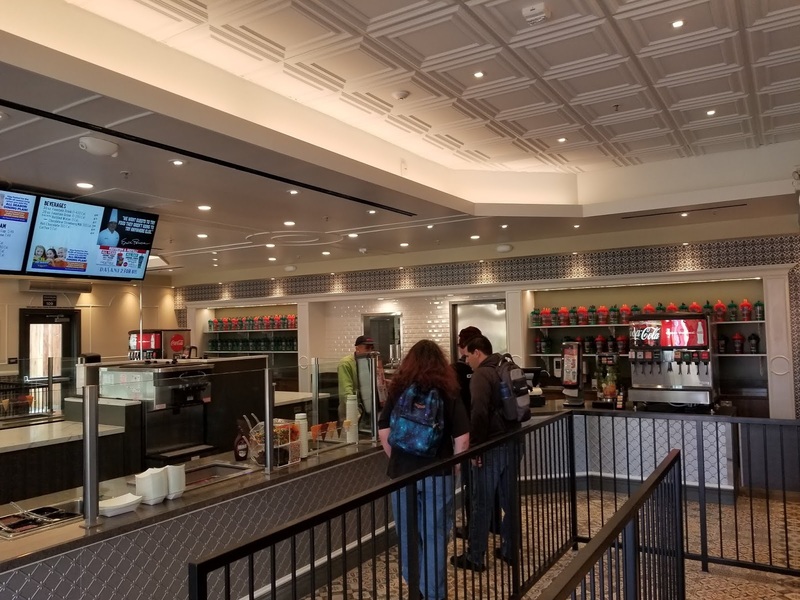 We are hearing that they should be open in a few weeks. No big stage out in the plaza this year - this opened up the opportunity for a cool mural just behind the small bandstand at the base of the Carousel. 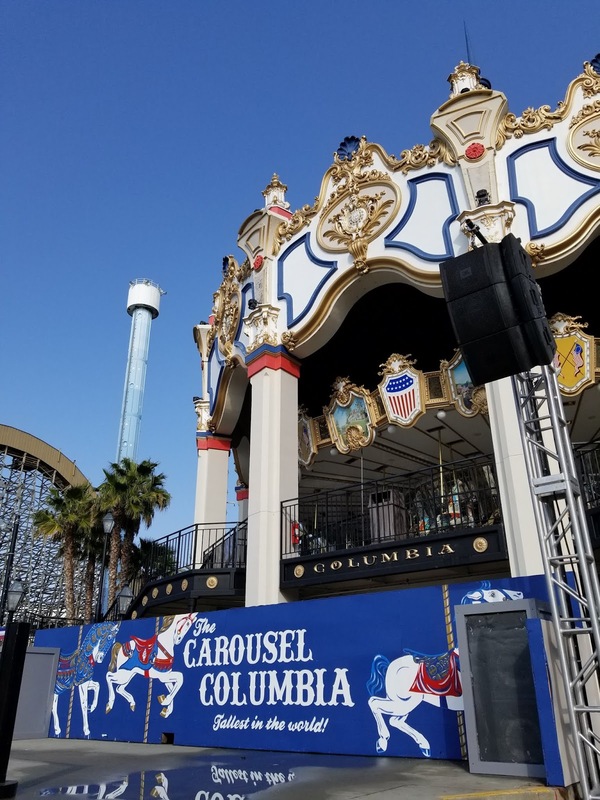 CGA's Carousel Columbia is the tallest in the world at 101 feet, beating Six Flags Great America's carousel by a whole foot! 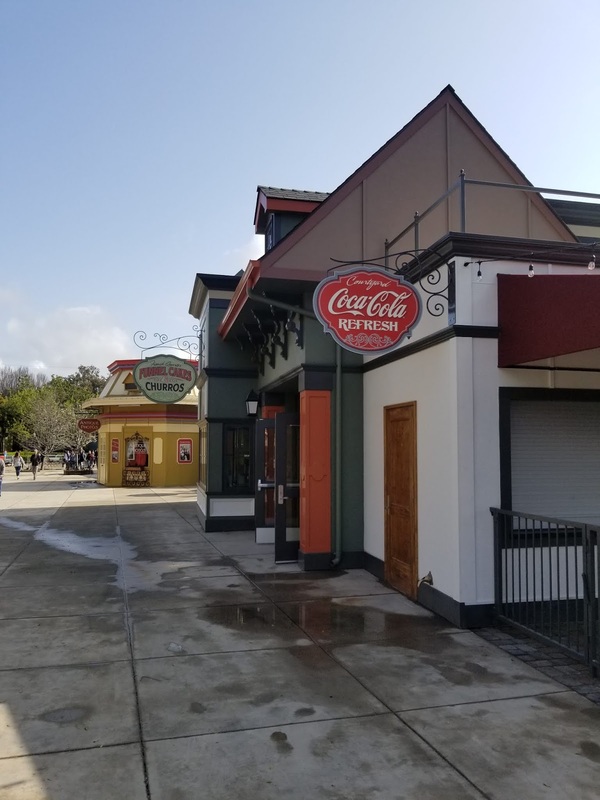 Grizzly and Drop Tower did not open, listed as closed on the website and at the gate. 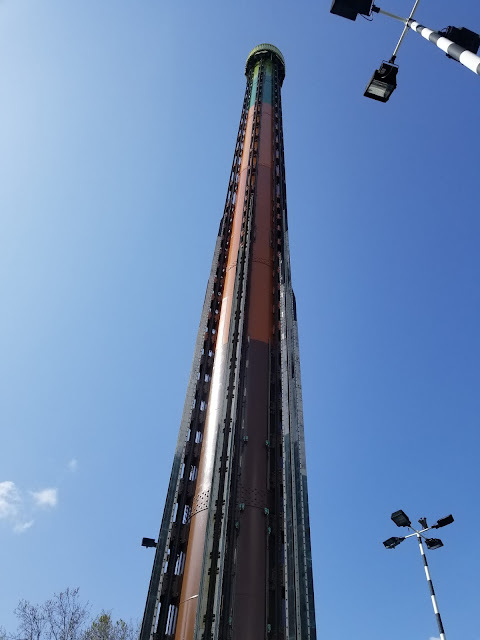 Drop Tower's newly painted cabins look good. Hopefully we can see the queue get a refresher too! New vibrant Drop Tower cabins complement the tower. Hoping to see a refreshed queue and operator's control booth. Unfortunately we had to skip out on RailBlazer. It opened late in the afternoon and was only running 1 train. 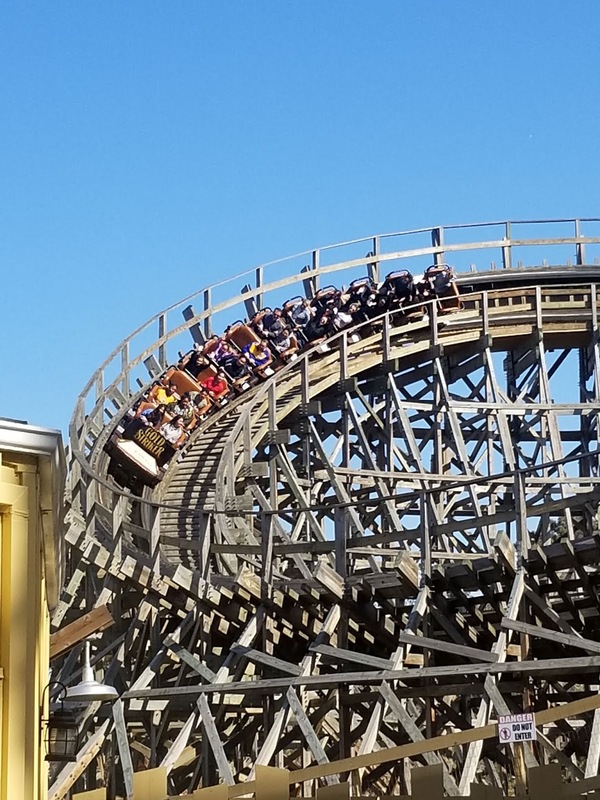 Everyone flocked over to RailBlazer just as soon as the sound of brakes releasing was made. We'll catch it next time and when it's back in 2-train op. We had checked out the new Space Beagle show at Peanuts Showplace. It was cute. 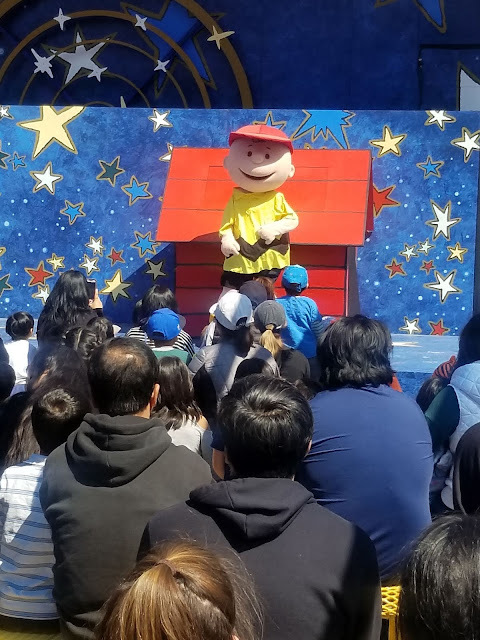 If you have gone to Knott's recently, this show may look familiar to you. Knott's also has the same show running down there. First showing of 2019 with a pretty full house. 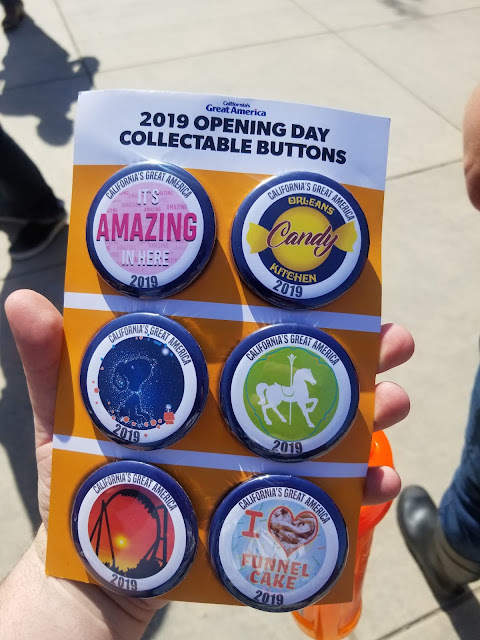 Did you attend opening day and collect the buttons? How was your opening day? 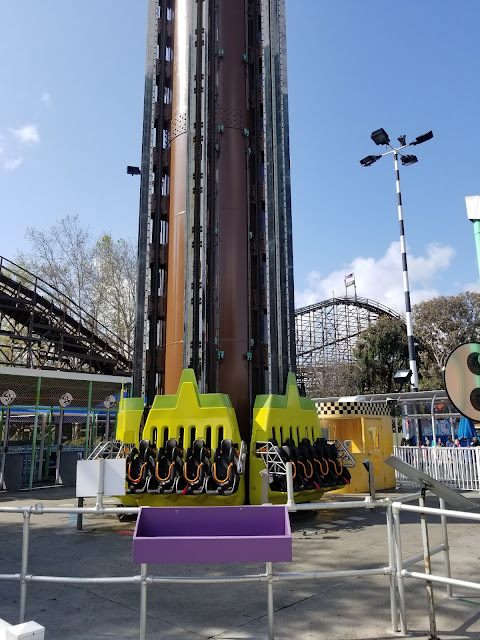 Let us know in the comments below, and be sure to follow our Instagram: @Thrillsbythebay for park updates and photos!